What happens when you take classic arcade games, mix them with Pong and a good chunk of catchy tunes before throwing that abomination into a rainbow of colors. You’ll get whatever Ultra Space Battle Brawl is, of course. A game that is loud, obnoxious and probably the most fun way to settle a debate between friends that you’ll ever come across. 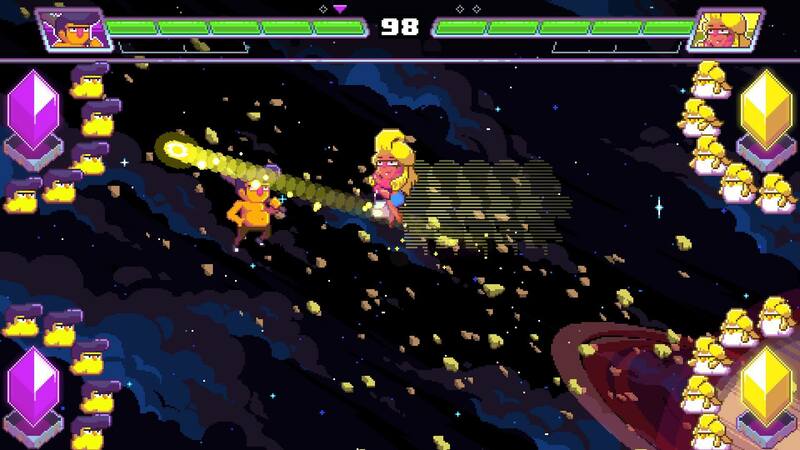 There are only a few tidbits of story to be found in Ultra Space Battle Brawl. The game is set in some distant future, not to mention an alternate reality as all the people appear to be yellow. Humanity, if we can call it that, has long since explored space and has now established an intergalactic society, which everybody wants to be part of. To this means, a bunch of people take part in the titular brawl, in order to win a coveted ticket into this intergalactic society. There are ten playable characters, each with just the barebones of backstory explained in a short cutscene at the start of the story mode and an equally short cutscene at the end of it, neither which reveals much about the world this story takes place in, though it gives us some insight into the characters themselves. Maybe a bit more backstory would have been fun, as the world the game is set in sounds genuinely interesting, but we only get a glimpse of it. Colorful and lively are probably the words used to describe Ultra Space Battle Brawl. Its retro pixel art takes obvious inspiration from other arcade games that came before it, as well as old-school anime. The character designs are unique, the levels look really pretty and the backgrounds are constantly moving. Sometimes too much, as the screen will shake each time the ball hits the borders of the frame, which can be nearly headache-inducing after a while. Playing this game will probably only work in short bursts at a time as it can be really straining on your eyesight, as fun as it is to look at. Just like the graphics, the sound has an old school vibe to it. More precisely it seems based on 80s synthwave with some house music mixed in. It is enjoyable, even if the various tracks sound a tad similar at times. As your timer runs out, the music gradually get more frantic, which is a nice touch. There’s also some very Japanese-sounding voice acting which really gives the game that extra classic arcade vibe. As already stated, Ultra Space Battle Brawl is an arcade game in every sense of the word. Pretty straightforward, your goal is to take a ball and hit your opponent’s crystal with it. The crystal is surrounded by what can only be described as funny looking chickens, each of which can take two hits. The crystal itself can withstand five hits. If you manage to break through the wall of chickens, which are named minions, and destroy your opponent’s crystal, you win the round. But beware, you only have 99 seconds to accomplish this goal. 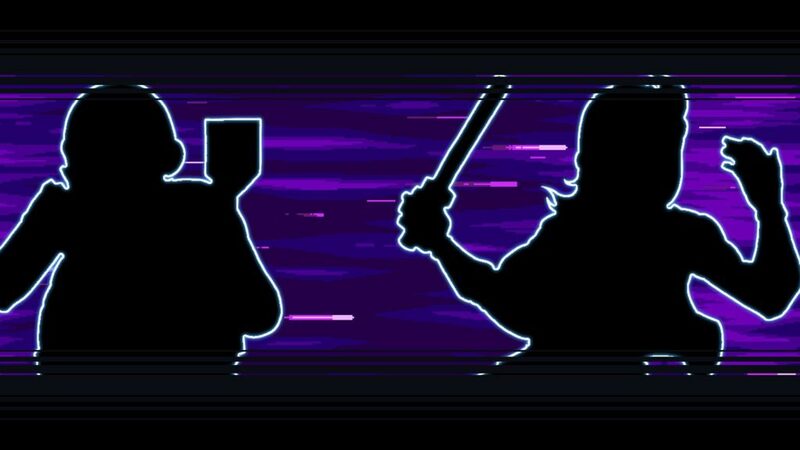 If your timer runs out the game will simply give the strike to whomever took less hits, with the possibility of a tie which will lead to a double strike. The first person to score two strikes wins the match. There are ten playable characters in-game, each with their own stats that will alter the way they function. Each character also has a special move, that charges up throughout the game and can be unleashed to drastically change the playing field. Ranging from dealing double damage to introducing a second ball, if played well, these special moves can be crucial in winning your match. Depending on which game mode you play, the positions and shape of the crystal will change, as well as the amount of minions surrounding it. Sometimes they will even move across the screen or your health will be divided over multiple crystals. There’s also various obstacles, including asteroids, which will be present on the playing field to further complicate matters. Besides the story, which consists of 8 subsequent matches and which are intersected with the aforementioned cutscenes, there is also a simple versus. You can take on the game’s impressive AI or play with up to four people, choosing the game mode, amount of sets and background you play with. 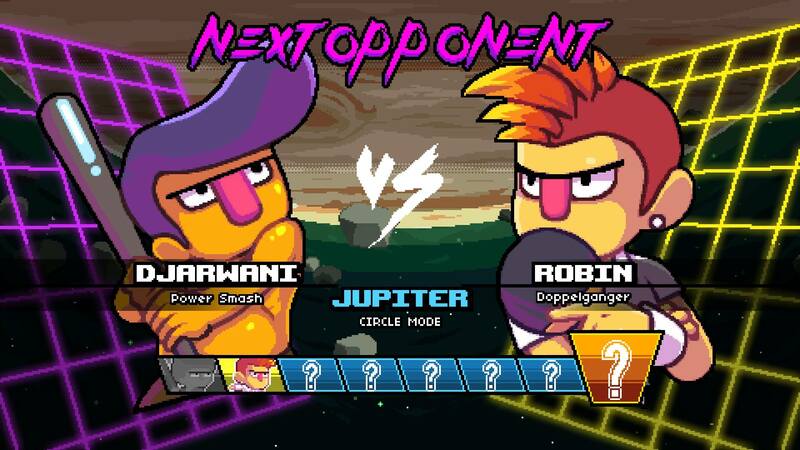 Ultra Space Battle Brawl is not just yet another Pong remake. 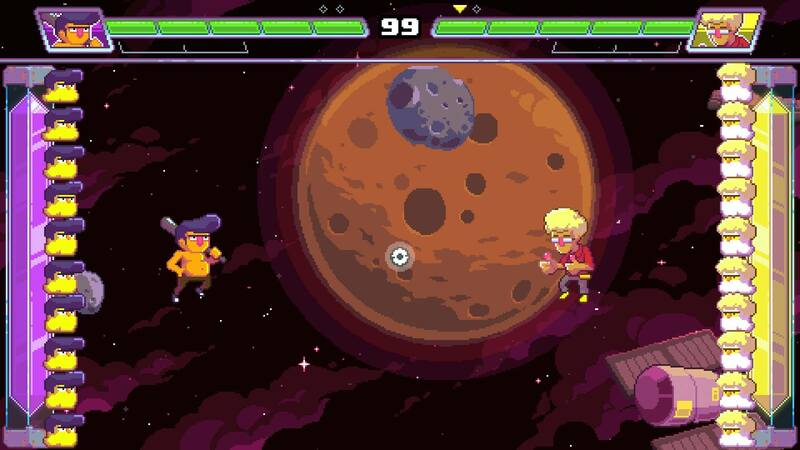 It reimagines this classic game into a whole new playing field, with retro pixel aesthetics, upbeat music and new game mechanics never imagined before. 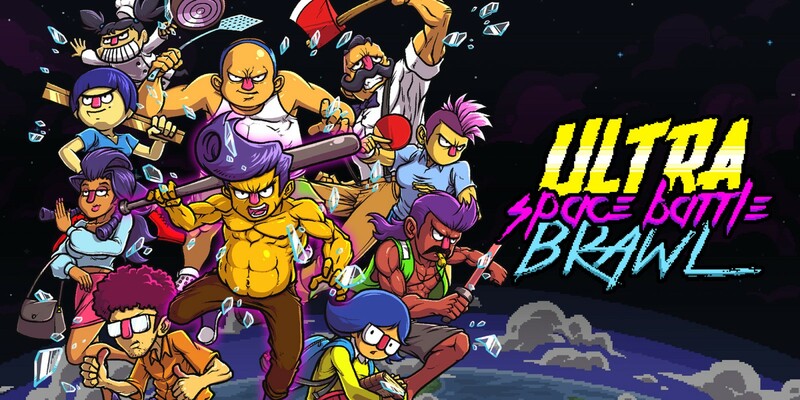 As it stands, Ultra Space Battle Brawl looks to be more than just a fun game to play with friends, but functions as a new arcade classic in the video gaming world that will stick around for a long time to come.